Welcome to my two-week series all about our recent family trip to South Africa. I’m recounting some of our favorite experiences, lessons we learned, travel tips, and some of the most memorable stories and takeaways. To read all of the posts in this series, click here. 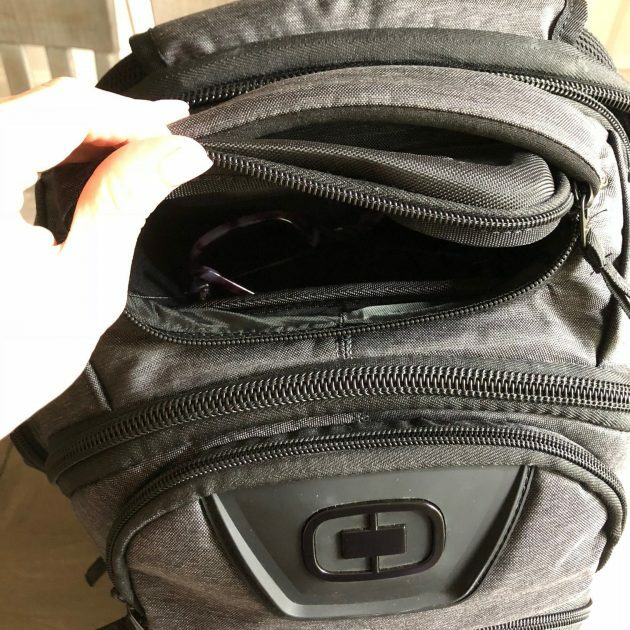 I shared a peek into my backpack on Instagram Stories before we left for South Africa and so many of you asked if I could give links to the products and post more details. 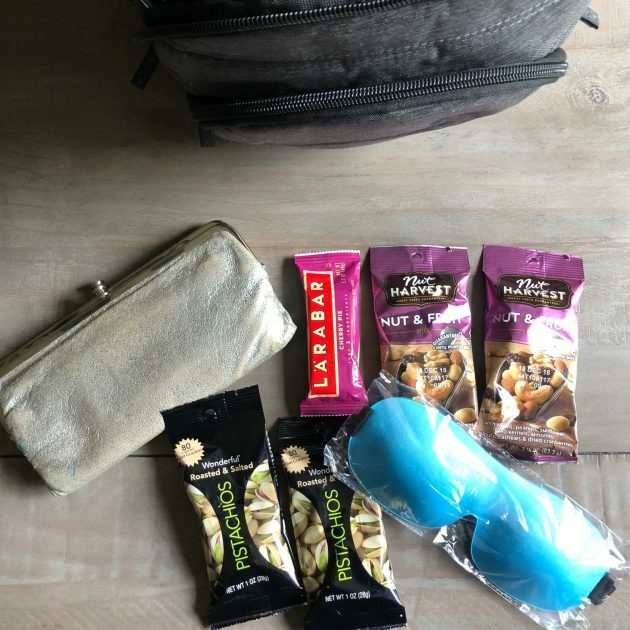 So, here is the much-requested post with all the details on what I pack in my backpack for international trips. 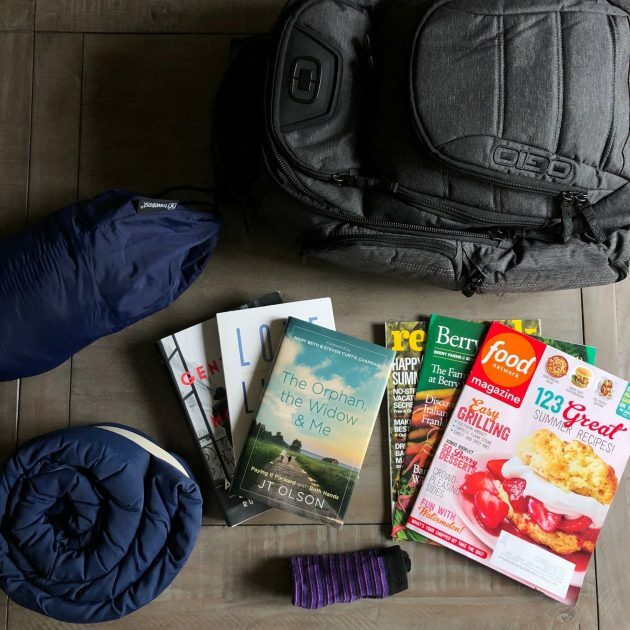 First off, you want to find a sturdy backpack that is specifically designed for the wear and tear of travel. 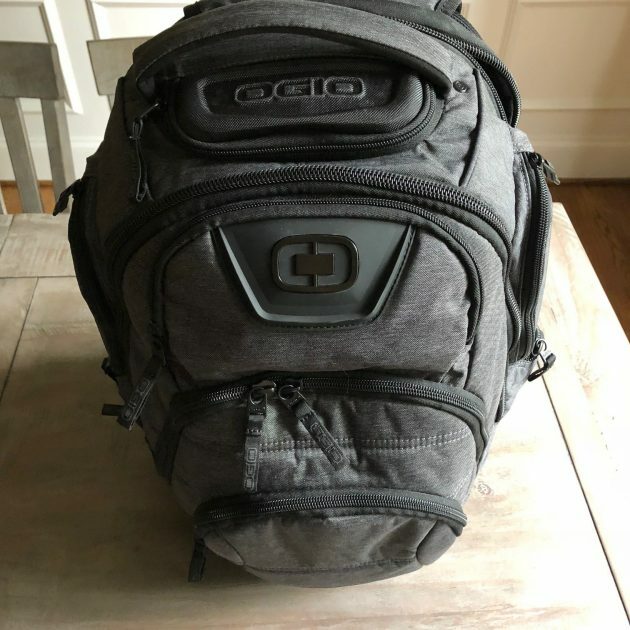 After a lot of research, I bought this OGIO Renegade International backpack on Amazon and I absolutely love it. 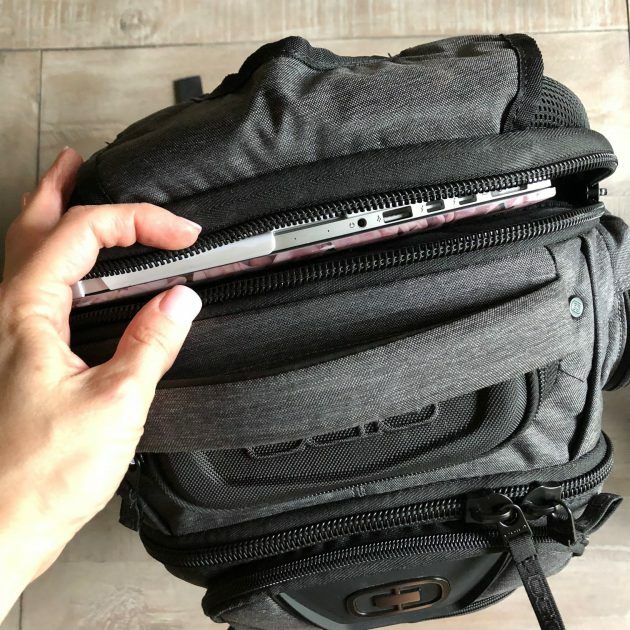 It’s the perfect size to be able to carry everything I need to carry — and it has a very protective pouch for my laptop. It’s also not too large or bulky and fits under the seat of every plane I’ve been on. 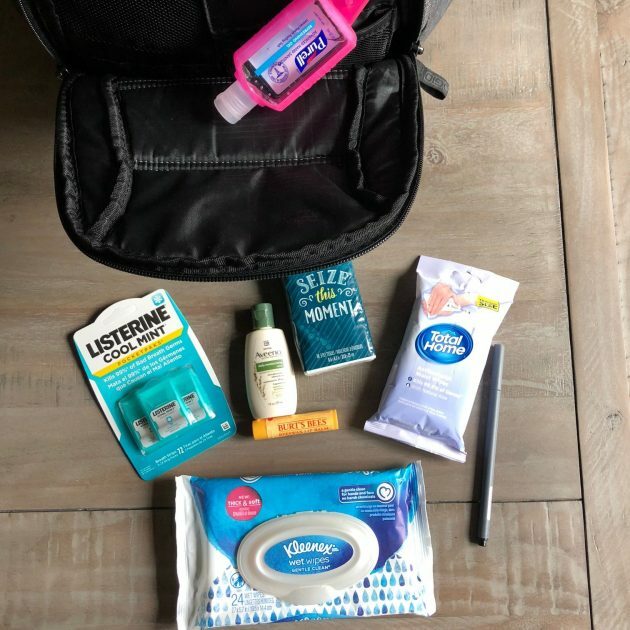 If you are not bringing a carry-on with you on the plane, I would also recommend including a complete change of clothes + basic toiletries in your backpack (I’ll share what I put in my bathroom/toiletries bag in a post in a few days) so that you can brush your teeth/wash your face on the plane + change your clothes, if need be. 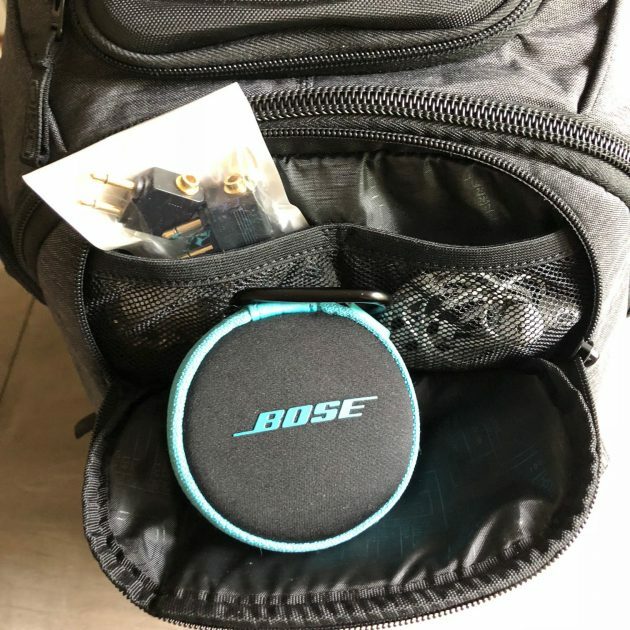 In addition, if your luggage gets lost, at least you’ll have some basic things until they find or replace your luggage. I absolutely LOVE these earbuds and have had them for a few years and used them incessantly! They are so lightweight but so high quality and do a great job at noise-cancelling. 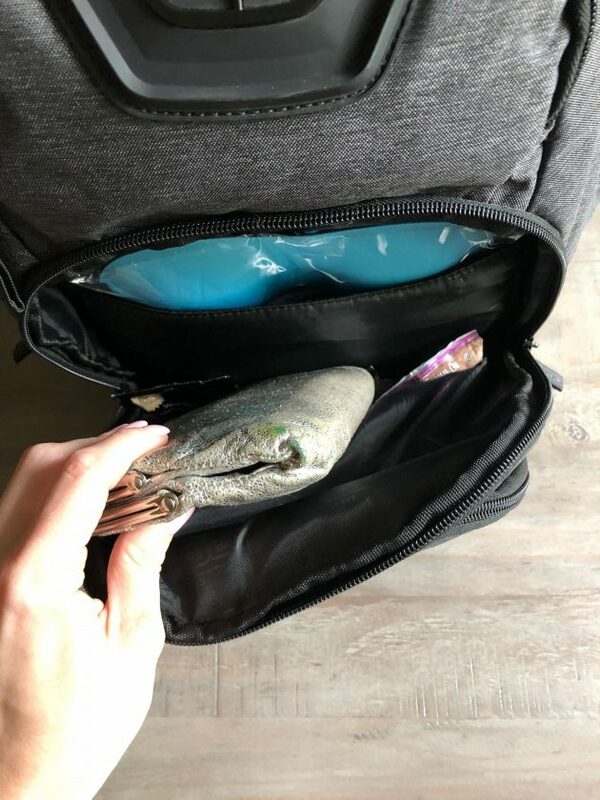 In the top zippered pouch, I keep my sunglasses. 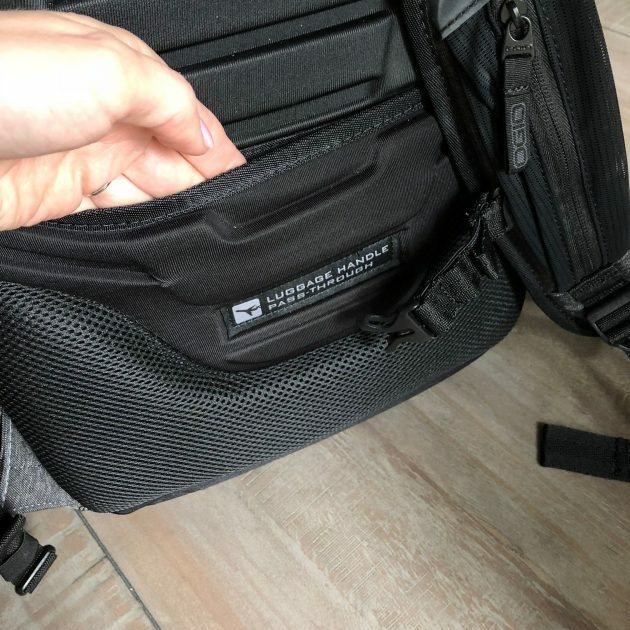 This is a really sturdy pouch and can’t be crushed — which is great for something like sunglasses or a small camera. In the side pouches, I pack phone chargers. 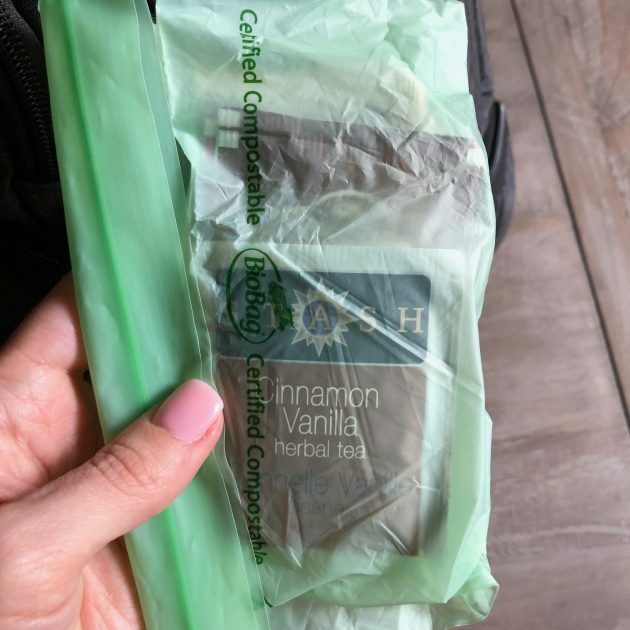 I had the medicine bag in another bag on this trip, but if I wasn’t traveling with others, I would also pack basic medicines in this pouch — sleeping meds, Dramamine, stomach meds, essential oils, ibuprofen, etc. In another side pouch, I pack a bag of tea bags. Since I don’t drink coffee anymore and there isn’t always decaf tea readily available, I like to have these on hand to make my own (I ask the flight attendant for a cup of hot water and cream). And then my computer and computer cord goes in the computer pouch. I love that this backpack has a luggage handle pass-through, too! What else would YOU pack in your backpack for an international trip? Am I missing anything that you think is a necessity? I’d love to hear! Looking for more? Read more posts about South Africa 2018 & South Africa as a Family. 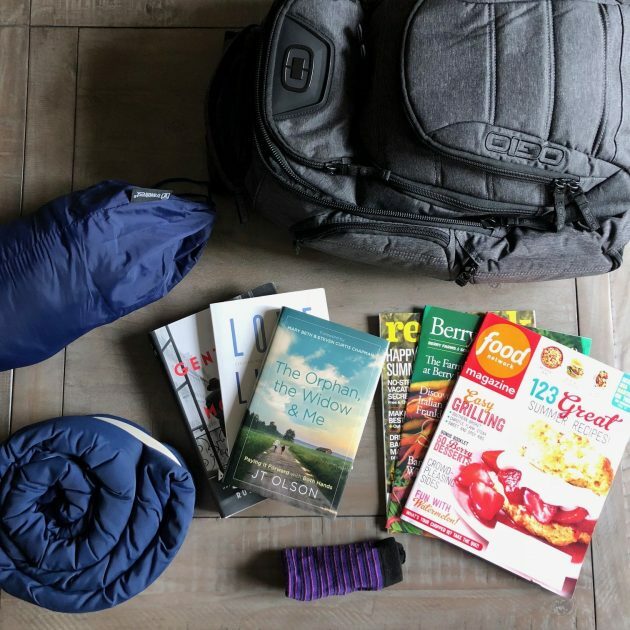 I am curious to know how much your fully packed backpack weighs? Also, do you put your lotion, etc. 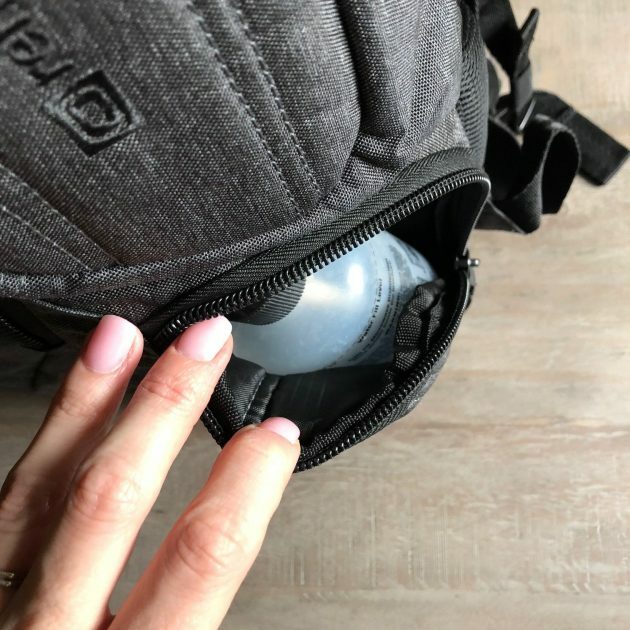 in the one-quart zip-lock bag to get through security? 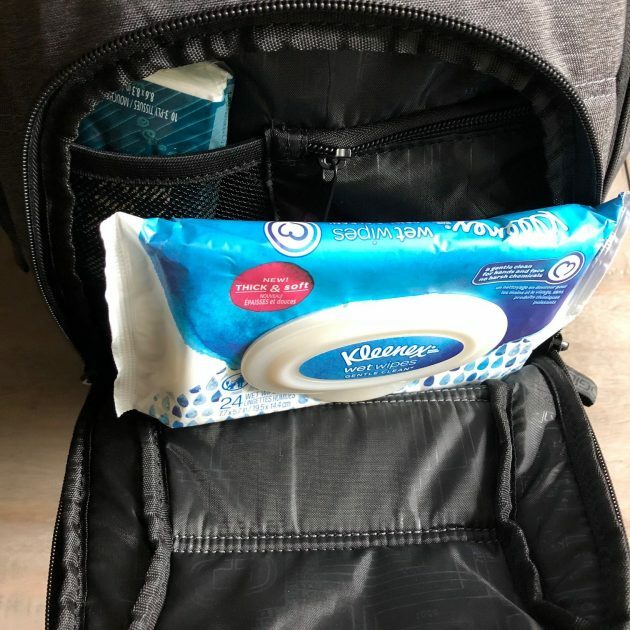 Since we have TSA Precheck, we have never been asked to pull our liquids out for security. I don’t have them in the one-quart bag… I just keep them all in my bathroom bag — which I’ll be posting about next week. If you don’t have TSA Precheck or your airport requires the ziplock bag, I’d just put it in a bag in this pocket. 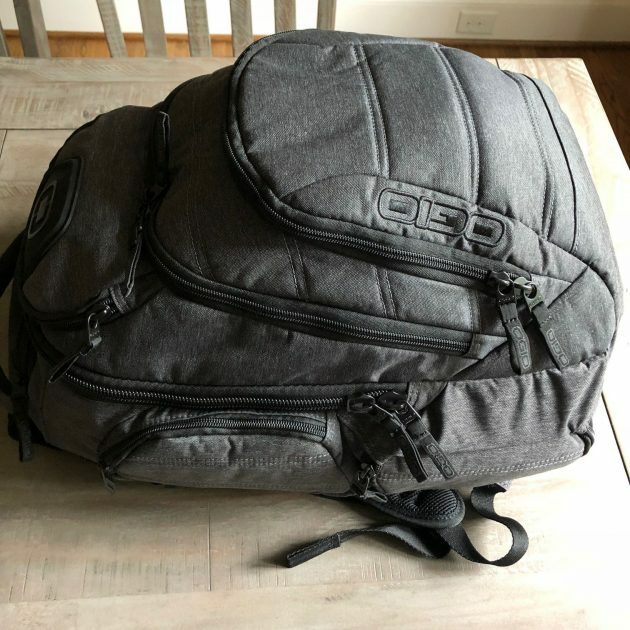 Oh and the backpack typically weights between 10-15 pounds when fully packed. Thanks for both replies! Looking forward to the rest of your trip posts! I’m curious how many changes of clothes you think this would hold? I’m planning a 3-4 week trip where all transportation is motorcycle and a backpack would be easier than a suitcase. South America bound. Learned from last time it is hard to carry a suitcase and ride a motorcycle!!! 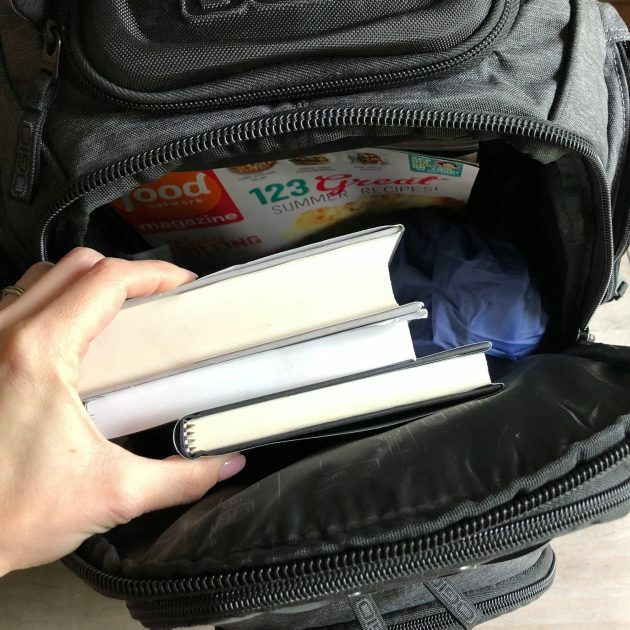 If you didn’t bring any books, I think you could definitely have 4-5 outfits in it if they were rolled up. If you didn’t have the pillow and blanket, you could definitely have more. 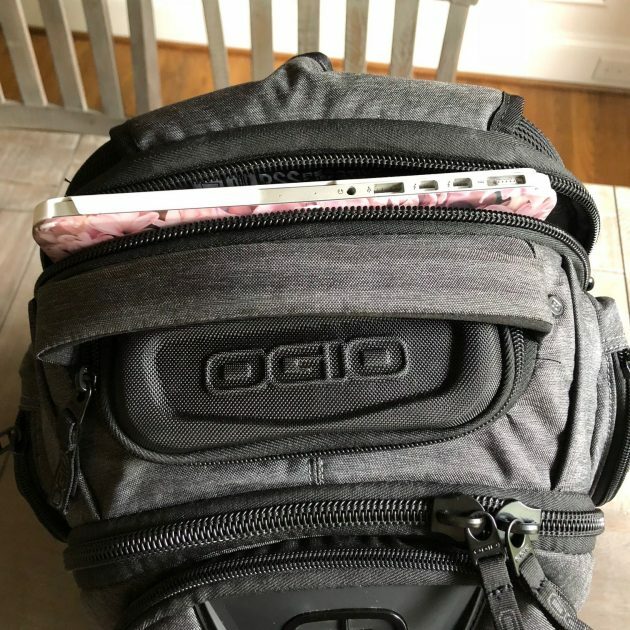 However, if you don’t need the compartment for a laptop, I’d recommend going with another type of backpack that would hold more. I’ve never traveled internationally and haven’t flown at all in long time. However, are international planes significantly larger? I’m trying to wrap my mind around doing all those things, including getting changed, in a tiny microscopic bathroom… Let alone just getting comfortable in the cramped seats for that long! I’m impressed you all did that so well! Actually the legroom is smaller than lots of domestic planes in the US! However, the bathrooms typically have at least two feet of standing space between the toilet and the wall. It’s tiny, but it’s big enough that you can change or wash your face, etc. Such an interesting post! That backpack looks amazing. Thank you! When I travel internationally I always put a change of clothes in my backpack, this could be a light dress. I do this as a backup plan just in case my other luggage does not make it to the other end. 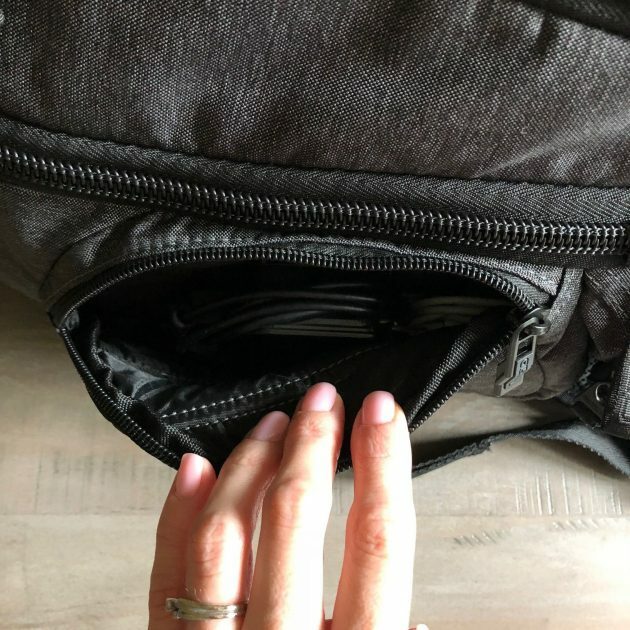 Maybe we’re paranoid but we always travel with our passports and the little extra cash we carry on our person in a pouch that goes under our clothes. 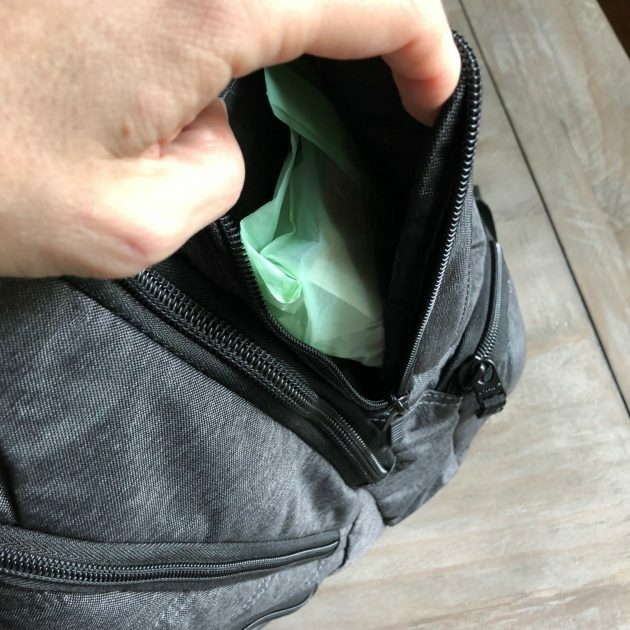 Before I hit the baby stage I had a small thin fanny pack made for travel documents. Now my husband wears a a travel wallet that hangs around his neck with all our passports. We also put photo copies of our passport info and visas in a separate place. Otherwise I think your bag looks great! I think it somewhat depends upon where you’re traveling to, as well, and whether theft is prevalent. I’m using a different system when I go to India in a week because theft and pickpocketing is much more common there from what I’ve been told. And yes, always upload copies of your passport and visas somewhere online (we keep ours in dropbox) so you can access them in case they are stolen or lost. Great tip! Two tips I’ve used over the last 25 years of lots of international travel (some very glamorous, some extremely primitive and dangerous) – keep money on you in a minimum of 3 places. As sweaty and kinda gross as it can be, I always traveled with a $50USD note in my shoe (sometimes you can remove the sole and put it under there) just in case you’re completely robbed, you would be amazed what $50 can get for you in some countries (I did have to use mine in Vietnam once). I always traveled with 2 $1 notes put in my pocket – this was a tip from a journalist friend who said that most often when you’re pick-pocketed they don’t look straight away at what they’ve stolen, as long as they got something. So keeping a buck or two (or even a local bill, which can be worth pennies) in your pocket means if they steal it – they’ve got something and they likely won’t come after you again – you’ll be down the street by the time they look and see its hardly anything. There’s also great little pouches you can get that snap onto your bra and tuck in where you can stash a few bucks. Be careful in India, its a magical place in some regards but when the sun goes down…. Such great tips — thank you for sharing! We have TSA Precheck and they never ask us to remove our liquids so I actually don’t even have a 3-1-1 bag because of this. I would say to make sure it will fit under your seat. Ours was put in the overhead bin and was difficult to get in and out. 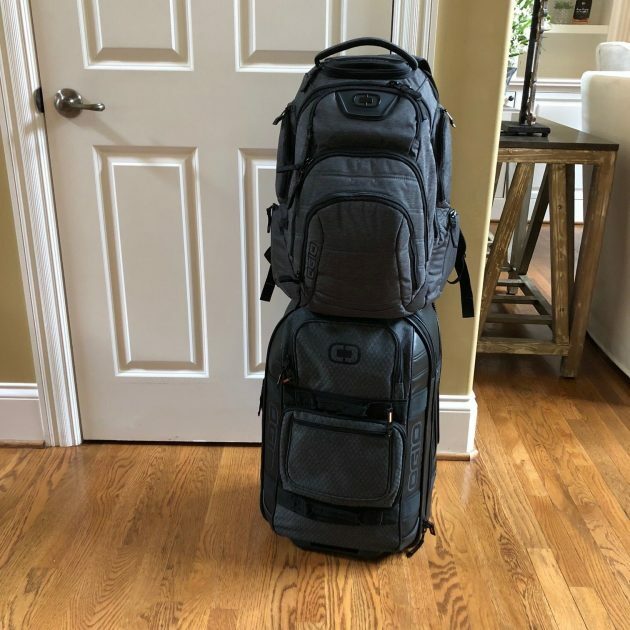 I am talking carry on not back pack. We always take a power converter in our carry on in case our suitcases don’t make it. That way we would at least have a way to charge our phone or use the laptop.